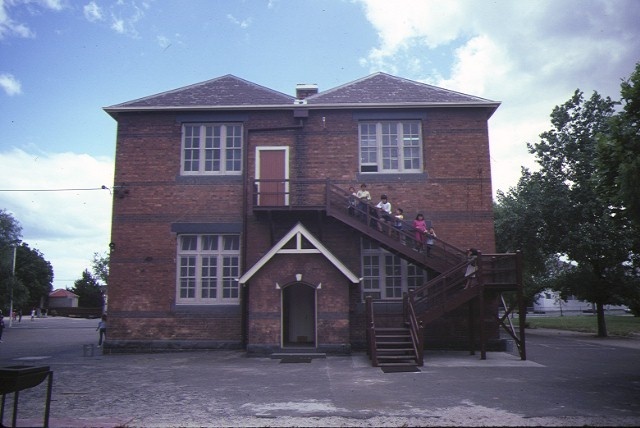 The design of the Albert Park Primary School building by Joseph Schneider won the competition for school buildings after the passing of the education act in1872. 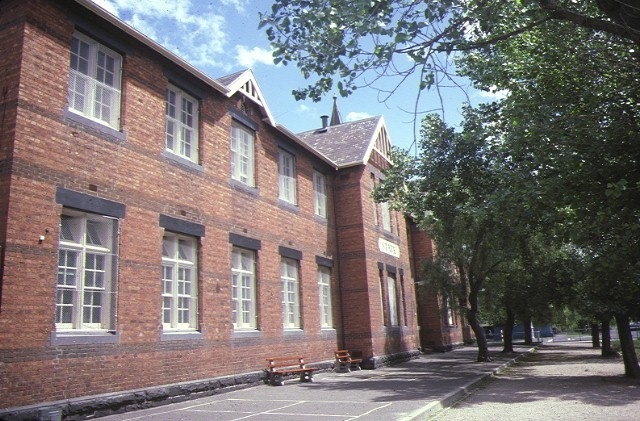 The school was built by Peason and Downie and was opened in April 1874. Alterations were made to the building in 1907-8 when some windows were enlarged, floors renewed and galleries removed. The building is in good condition. The design of the school was a functional gothic notable for its lack of ornamentation and which has been modified by the 1907-8 alterations. The plan of the building is unusual and remarkable for its long classrooms. The design was never reused probably because of the awkward length and two storeys. The building is significant as one of the designs which expressed the new forward looking principle of free, secular and compulsory education. 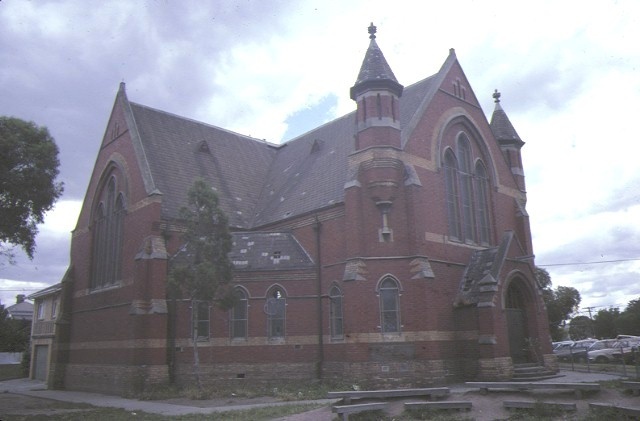 The former Wesleyan Church in Bridport Street, Albert Park, was designed in 1890 by Percy Oakden of the notable architectural firm of Oakden, Addison and Kemp. Oakden was responsible for a large number of church and school buildings constructed for non-conformist denominations. This particular example is characteristic of Oakden's bold polychrome gothic style incorporating a number of typical elements including red and cream brickwork, brick dressings, paired and multiple gothic windows, stone or cement corbels to widen the bases of gable end and the exceptional octagonal towers or barbicans. The amphitheatre plan of the building, which was considered most appropriate to the triangular site, was ideally suited to the Wesleyan style of preaching. It is a very good example of the small group of centrally planned amphitheatre form churches in Victoria. From an historic point of view the Albert park church is an important monument to the Wesleyan Methodists of the district and to the church's patron John Danks, a committed Methodist and a prominent Melbourne businessman, whose family firm was established in the 1850s and still exists more than a century later. The church is an important local landmark and is a significant element in an intact 19th century streetscape in an important inner suburban area. With the earlier polychrome brick school, the former Wesleyan church defines and flanks the swathe of land which connects the two arms of Bridport Street. Primary School No. 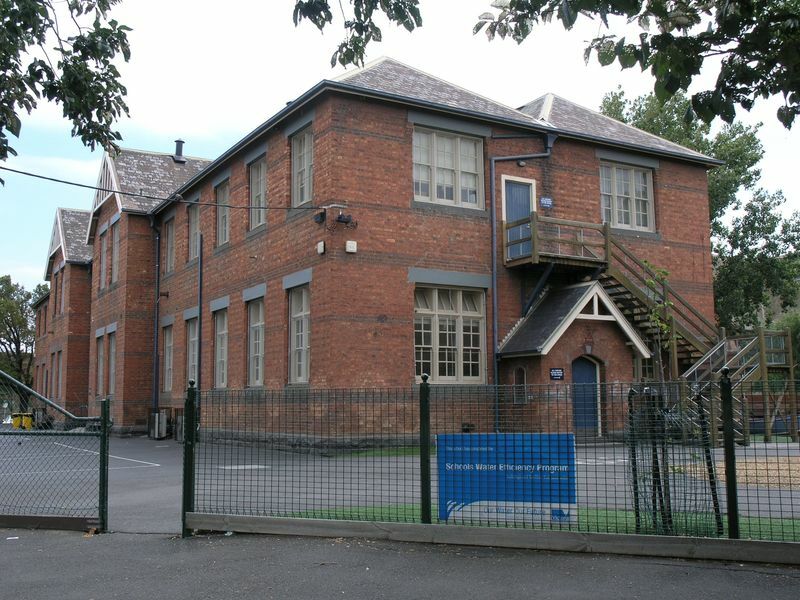 1181 and former Wesleyan Church, Bridport Street, Albert Park (all of the Primary School building and all of the former Wesleyan Church contained within Cardigan Place, Moubray Street and Victoria Avenue).